The rules for dovetails all come from the NDS (National Design Standard). The key factors are the load the beam is supporting, the size of the joist, the size of the girt that is supporting the joist, and the wood species of the members. 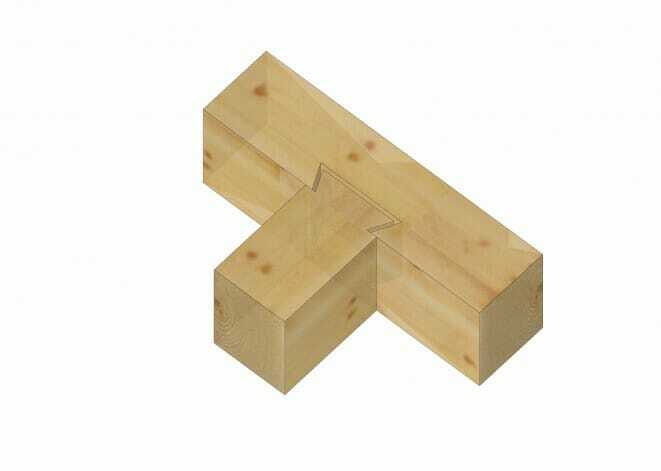 Essentially, there has to be enough shear capacity in the dovetail to support the load, and there has to be enough shear and bending capacity in the girt to support the joist. The NDS gives values for shear capacity and allowable bending stress, but you need some engineering experience to be able to calculate the size accurately. Typically we use 1 ½” – 2” deep dovetails that are about 2” less deep than the joist, and 4” less deep than the girt – but that is just a starting point – the loads and reactions have to be calculated from there.